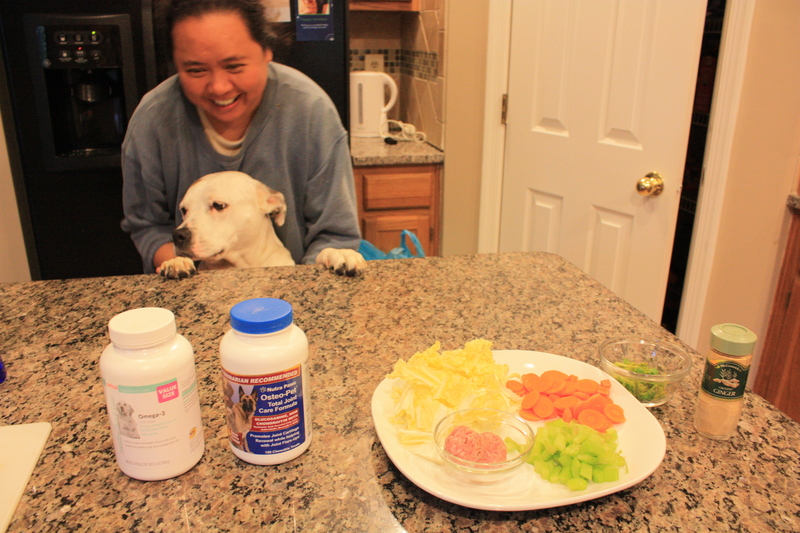 This entry was posted in Breeds, Dog Equipment, Dogs, foster dogs, Humor, Nutrition, Training, Walking and tagged arthritis, dog trainer, Fruits and Vegetables, ginger, human, kibble, stir-fry. Bookmark the permalink. Thamks for this, I think I will try this during the summer. Do you have any receipes that will keep bugs away? No worries, last year I put my little ones on a vegetable, meats and garlic diet. Changing the type of meat weekly so they didn’t bored with the meal, and adding fresh garlic, which really cut down on the bugs trying to take a bite out them. That’s great. 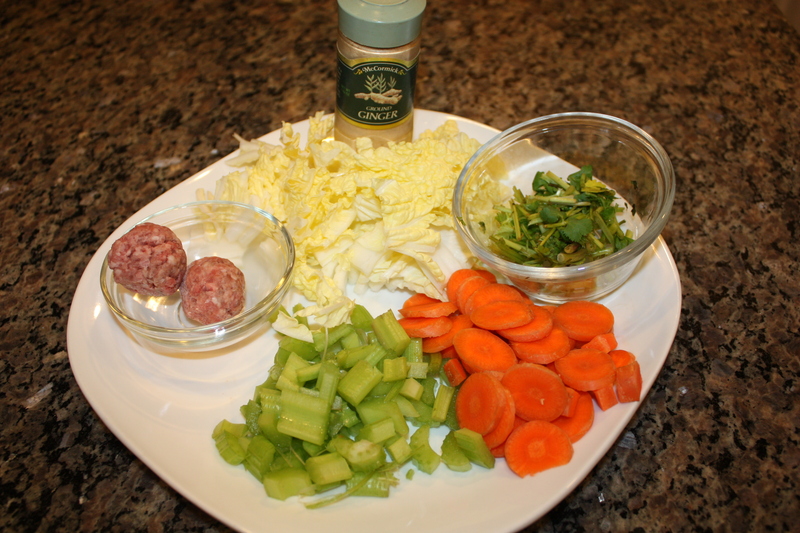 I alternate spices such as oregano, parsley, cilantro, and basil. It looks great, I will try your recipe too :o) thanks :o) Easy sits and waits for his food too ( but that’s the only reason for him to sit and wait lol) Have a super wednesday! Great. Yes, try that recipe. 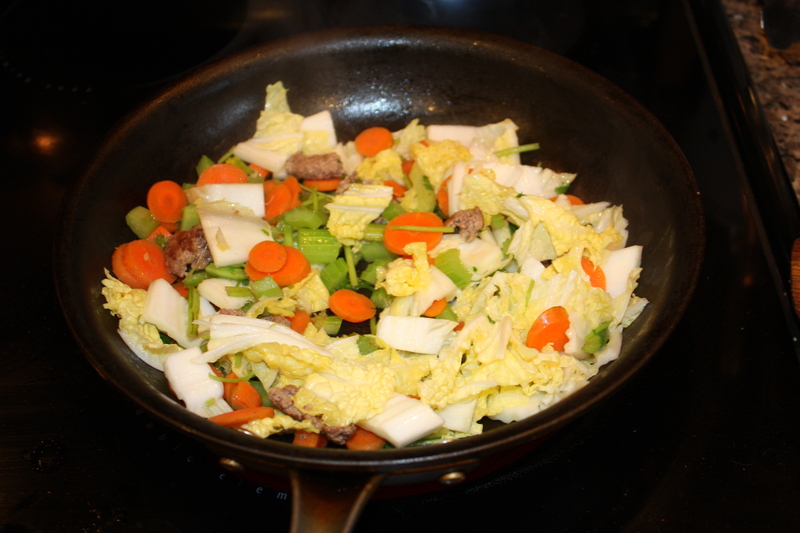 You can add or subtract the amount of veggies and/or meat you use. Bella is actually better than Alex in the sense that she does her basic commands almost flawlessly. Have a great Wednesday too:-) and thanks for stopping by. A flight attendant had a Seelyham Terrier, one of two dogs I would dog-sit when she was working. This particular dog has been in dog shows before. His owner told him to “sit” and “wait” before he could eat. Only when he was told he could eat, then he could eat. I don’t have any special rule for Kita. She’s good about letting me take her food bowl (but we did have to teach her not to growl at us when it came to her bone). 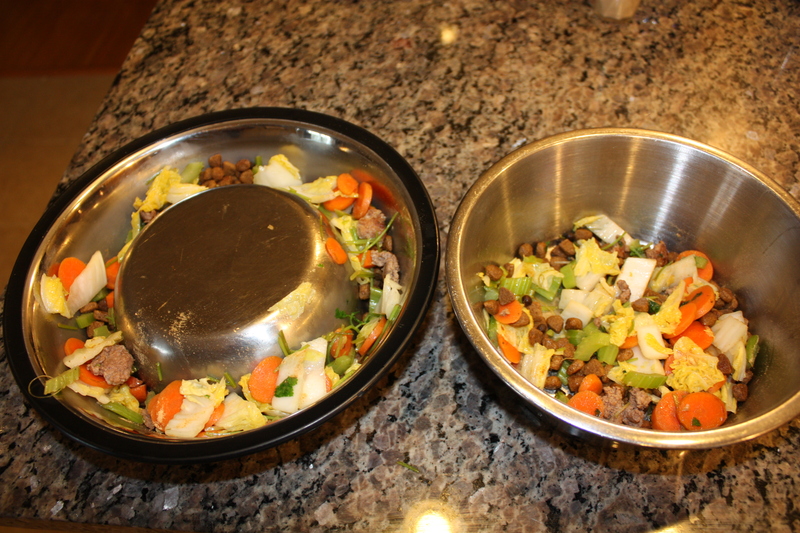 I hadn’t known that you could cook veggies for a dog (Kita gets veggies in her kibble). Smart and stubborn. Got that from the alpha male here! Hahaha! That’s excellent. Wow! Max is amazing. Bella would inhale her food regardless of who is feeding her. Some dogs are a little picky. 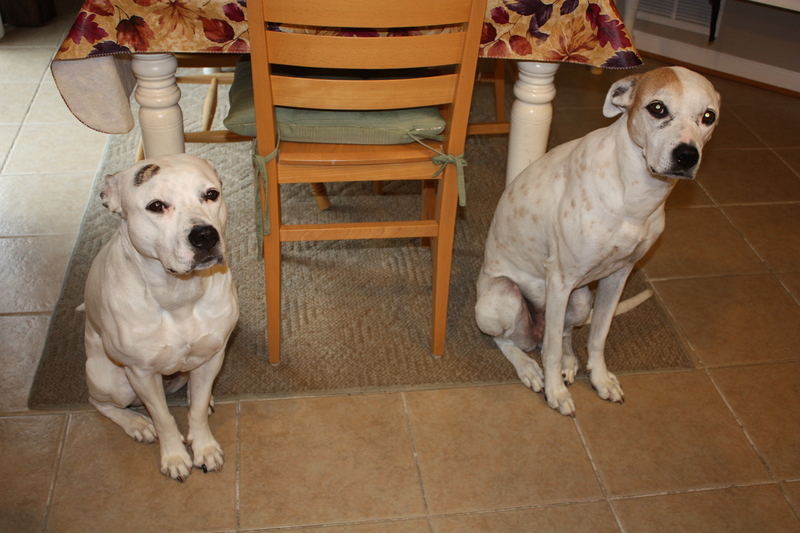 I had a boxer mix staying with us because his mom said that the dog walker was constantly being changed and if he did not know her he would not eat until his mom came back home close to midnight. In other words, he would not eat for almost 16 hours even though the food was in his dish. He did not trust very easy. Really cool. I’m bookmarking this to remember to try it out sometime with my two. Thanks. Yes, when and if you try it, let us know if they liked it.